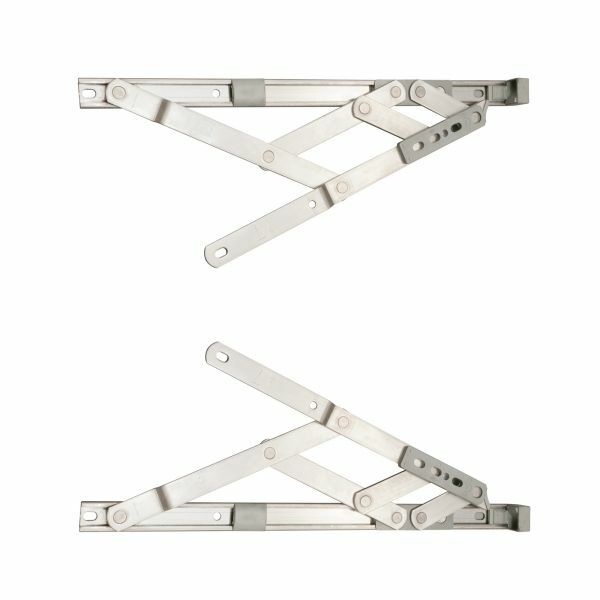 Product information "16" Securistyle Window Friction Hinge (Side Hung)"
These hinges are designed to stay in any open position by means of friction and are designed for side-hung windows of uPVC or aluminium. The Defender range of friction hinges, designed by leading manufacturer Securistyle, is tough, durable and offer truly reliable weather sealing. This hinge is 18mm wide (see D in diagram above). It is the most common width and used for the vast majority of modern uPVC and aluminium windows. We recommend that you check this measurement, some older window frames may require a size of 14mm, this is quite rare. Related links to "16" Securistyle Window Friction Hinge (Side Hung)"
Customer review for "16" Securistyle Window Friction Hinge (Side Hung)"